We are not after your money. Instead, we want to build a partnership with you to do God’s work. As in most things, you can accomplish a great deal more when you work along side others on the same mission. As a Christ-follower, we all have an obligation to give and serve, Jesus showed us how, why not do this together? We simply want to offer you a place to work for God and for good. In case you were wondering, all of our resources go to accomplishing the Great Commission Jesus spoke of in Matthew 28:16-20. We recognize that there are plenty of places to write a check, lots of organizations need assistance, but we offer you a place to grow God’s kingdom in this community. You can rest easy knowing that your seeds of giving are safe here. Modeled on trust, transparency, and integrity, our finances are continuously reviewed by a third party firm off-site and documents are provided monthly to the finance committee and quarterly to the congregation. Traditionally, an offering is anything we give over and above our tithe. At Ross Grove, there are plenty of missions and ministries that you can support directly. Once you click the giving link you will be directed to our giving portal and there you can choose a designated fund from the drop down menu. Your gift will not only honor God, but it will go to the work you care most about. "Do not lay up for yourselves treasures on earth… but lay up for yourselves treasures in heaven, where neither moth nor rust destroys and where thieves do not break in and steal. For where your treasure is, there your heart will be also” (Matthew 6:19-21). When you hear the word tithe you think of money, right? Yet, tithing is much more than that. At Ross Grove, we believe tithing is one of many forms of worship. Biblically speaking, a tithe is a tenth (10%) of what you have been given by God. As Christians, our aim is to give God everything back, but until then we seek to give God a tenth of everything (our time, our talents, our money, etc). Since the beginning, humans have honored God with the “first fruits” of their labor and we should too, acknowledging that “every good and perfect gift comes from above, from the Father of lights” (James 1:17). Tithe.ly is an online digital giving platform that is secure, accessible, and easy to use. 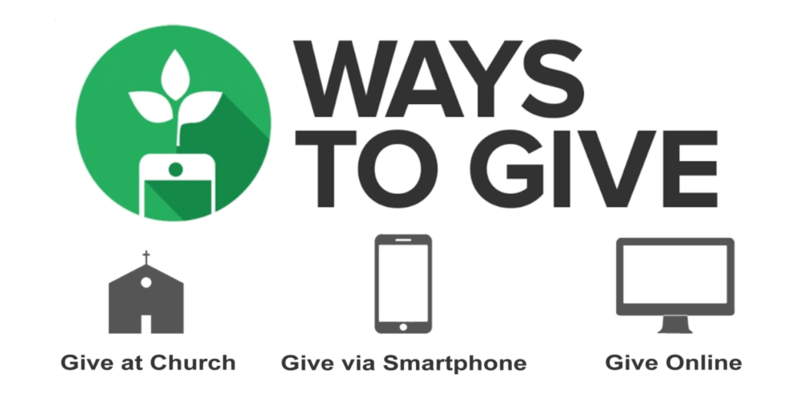 You can give online by clicking the “GIVE NOW” button or by using your smartphone or tablet by downloading the free Tithe.ly app at the App store with your IOS or Android device. Watch the video below to learn more about Tithe.ly.